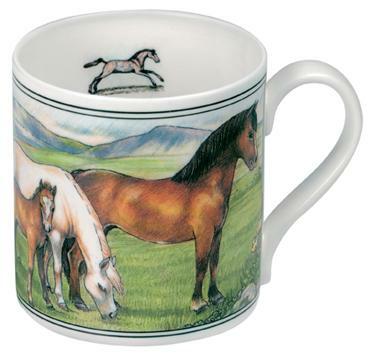 The Welsh Mountain Pony Bone China Mug. First referred to in Roman Times, the Welsh Mountain Pony is an ancient breed that is regarded as the most beautiful and intelligent of the native ponies. An excellent family pony, he is sturdy, spirited and stands up to 12 hands high.